"Tolkien" redirects here. For other uses of the name Tolkien, see Tolkien (disambiguation). John Ronald Reuel Tolkien, CBE, FRSL (/ruːl ˈtɒlkiːn/ ROOL TOL-keen;[a] 3 January 1892 – 2 September 1973) was an English writer, poet, philologist, and academic, who is best known as the author of the classic high fantasy works The Hobbit, The Lord of the Rings, and The Silmarillion. He served as the Rawlinson and Bosworth Professor of Anglo-Saxon and Fellow of Pembroke College, Oxford, from 1925 to 1945 and Merton Professor of English Language and Literature and Fellow of Merton College, Oxford, from 1945 to 1959. He was at one time a close friend of C. S. Lewis—they were both members of the informal literary discussion group known as the Inklings. Tolkien was appointed a Commander of the Order of the British Empire by Queen Elizabeth II on 28 March 1972. After Tolkien's death, his son Christopher published a series of works based on his father's extensive notes and unpublished manuscripts, including The Silmarillion. These, together with The Hobbit and The Lord of the Rings, form a connected body of tales, poems, fictional histories, invented languages, and literary essays about a fantasy world called Arda and Middle-earth[b] within it. Between 1951 and 1955, Tolkien applied the term legendarium to the larger part of these writings. While many other authors had published works of fantasy before Tolkien, the great success of The Hobbit and The Lord of the Rings led directly to a popular resurgence of the genre. This has caused Tolkien to be popularly identified as the "father" of modern fantasy literature—or, more precisely, of high fantasy. In 2008, The Times ranked him sixth on a list of "The 50 greatest British writers since 1945". Forbes ranked him the 5th top-earning "dead celebrity" in 2009. Tolkien's immediate paternal ancestors were middle-class craftsmen who made and sold clocks, watches and pianos in London and Birmingham. The Tolkien family originated in the East Prussian town Kreuzburg near Königsberg, where his first known paternal ancestor Michel Tolkien was born around 1620. Michel's son Christianus Tolkien (1663–1746) was a wealthy miller in Kreuzburg. His son Christian Tolkien (1706–1791) moved from Kreuzburg to nearby Danzig, and his two sons Daniel Gottlieb Tolkien (1747–1813) and Johann (later known as John) Benjamin Tolkien (1752–1819) emigrated to London in the 1770s and became the ancestors of the English family; the younger brother was J. R. R. Tolkien's second great-grandfather. In 1792 John Benjamin Tolkien and William Gravell took over the Erdley Norton manufacture in London, which from then on sold clocks and watches under the name Gravell & Tolkien. Daniel Gottlieb obtained British citizenship in 1794, but John Benjamin apparently never became a British citizen. Other German relatives also joined the two brothers in London. Several people with the surname Tolkien or similar spelling, some of them members of the same family as J. R. R. Tolkien, live in northern Germany, but most of them are descendants of recent refugees from East Prussia who fled the Red Army invasion and subsequent ethnic cleansing. According to Ryszard Derdziński the Tolkien name is of Low Prussian origin and probably means "son/descendant of Tolk." Tolkien mistakenly believed his surname derived from the German word tollkühn, meaning "foolhardy", and jokingly inserted himself as a "cameo" into The Notion Club Papers under the literally translated name Rashbold. However, Derdziński has demonstrated this to be a false etymology. While J. R. R. Tolkien was aware of the Tolkien family's German origin, his knowledge of the family's history was limited because he was "early isolated from the family of his prematurely deceased father". John Ronald Reuel Tolkien was born on 3 January 1892 in Bloemfontein in the Orange Free State (now Free State Province in South Africa) to Arthur Reuel Tolkien (1857–1896), an English bank manager, and his wife Mabel, née Suffield (1870–1904). The couple had left England when Arthur was promoted to head the Bloemfontein office of the British bank for which he worked. Tolkien had one sibling, his younger brother, Hilary Arthur Reuel Tolkien, who was born on 17 February 1894. As a child, Tolkien was bitten by a large baboon spider in the garden, an event some think later echoed in his stories, although he admitted no actual memory of the event and no special hatred of spiders as an adult. In another incident, a young family servant, who thought Tolkien a beautiful child, took the baby to his kraal to show him off, returning him the next morning. When he was three, he went to England with his mother and brother on what was intended to be a lengthy family visit. His father, however, died in South Africa of rheumatic fever before he could join them. This left the family without an income, so Tolkien's mother took him to live with her parents in Kings Heath, Birmingham. Soon after, in 1896, they moved to Sarehole (now in Hall Green), then a Worcestershire village, later annexed to Birmingham. He enjoyed exploring Sarehole Mill and Moseley Bog and the Clent, Lickey and Malvern Hills, which would later inspire scenes in his books, along with nearby towns and villages such as Bromsgrove, Alcester, and Alvechurch and places such as his aunt Jane's farm of Bag End, the name of which he used in his fiction. Mabel Tolkien taught her two children at home. Ronald, as he was known in the family, was a keen pupil. She taught him a great deal of botany and awakened in him the enjoyment of the look and feel of plants. Young Tolkien liked to draw landscapes and trees, but his favourite lessons were those concerning languages, and his mother taught him the rudiments of Latin very early. Tolkien could read by the age of four and could write fluently soon afterwards. His mother allowed him to read many books. He disliked Treasure Island and The Pied Piper and thought Alice's Adventures in Wonderland by Lewis Carroll was "amusing but disturbing". He liked stories about "Red Indians" (Native Americans) and the fantasy works by George MacDonald. In addition, the "Fairy Books" of Andrew Lang were particularly important to him and their influence is apparent in some of his later writings. Mabel Tolkien was received into the Roman Catholic Church in 1900 despite vehement protests by her Baptist family, which stopped all financial assistance to her. In 1904, when J. R. R. Tolkien was 12, his mother died of acute diabetes at Fern Cottage in Rednal, which she was renting. She was then about 34 years of age, about as old as a person with diabetes mellitus type 1 could live without treatment—insulin would not be discovered until two decades later. Nine years after her death, Tolkien wrote, "My own dear mother was a martyr indeed, and it is not to everybody that God grants so easy a way to his great gifts as he did to Hilary and myself, giving us a mother who killed herself with labour and trouble to ensure us keeping the faith." Prior to her death, Mabel Tolkien had assigned the guardianship of her sons to her close friend, Fr. Francis Xavier Morgan of the Birmingham Oratory, who was assigned to bring them up as good Catholics. In a 1965 letter to his son Michael, Tolkien recalled the influence of the man whom he always called "Father Francis": "He was an upper-class Welsh-Spaniard Tory, and seemed to some just a pottering old gossip. He was—and he was not. I first learned charity and forgiveness from him; and in the light of it pierced even the 'liberal' darkness out of which I came, knowing more [i.e. Tolkien having grown up knowing more] about 'Bloody Mary' than the Mother of Jesus—who was never mentioned except as an object of wicked worship by the Romanists." After his mother's death, Tolkien grew up in the Edgbaston area of Birmingham and attended King Edward's School, Birmingham, and later St. Philip's School. In 1903, he won a Foundation Scholarship and returned to King Edward's. While a pupil there, Tolkien was one of the cadets from the school's Officers Training Corps who helped "line the route" for the 1910 coronation parade of King George V. Like the other cadets from King Edward's, Tolkien was posted just outside the gates of Buckingham Palace. In Edgbaston, Tolkien lived there in the shadow of Perrott's Folly and the Victorian tower of Edgbaston Waterworks, which may have influenced the images of the dark towers within his works. Another strong influence was the romantic medievalist paintings of Edward Burne-Jones and the Pre-Raphaelite Brotherhood; the Birmingham Museum and Art Gallery had a large collection of works on public display. While in his early teens, Tolkien had his first encounter with a constructed language, Animalic, an invention of his cousins, Mary and Marjorie Incledon. At that time, he was studying Latin and Anglo-Saxon. Their interest in Animalic soon died away, but Mary and others, including Tolkien himself, invented a new and more complex language called Nevbosh. The next constructed language he came to work with, Naffarin, would be his own creation. Tolkien learned Esperanto some time before 1909. Around 10 June 1909 he composed "The Book of the Foxrook", a sixteen-page notebook, where the "earliest example of one of his invented alphabets" appears. Short texts in this notebook are written in Esperanto. In 1911, while they were at King Edward's School, Tolkien and three friends, Rob Gilson, Geoffrey Bache Smith and Christopher Wiseman, formed a semi-secret society they called the T.C.B.S. The initials stood for Tea Club and Barrovian Society, alluding to their fondness for drinking tea in Barrow's Stores near the school and, secretly, in the school library. After leaving school, the members stayed in touch and, in December 1914, they held a "council" in London at Wiseman's home. For Tolkien, the result of this meeting was a strong dedication to writing poetry. In 1911, Tolkien went on a summer holiday in Switzerland, a trip that he recollects vividly in a 1968 letter, noting that Bilbo's journey across the Misty Mountains ("including the glissade down the slithering stones into the pine woods") is directly based on his adventures as their party of 12 hiked from Interlaken to Lauterbrunnen and on to camp in the moraines beyond Mürren. Fifty-seven years later, Tolkien remembered his regret at leaving the view of the eternal snows of Jungfrau and Silberhorn, "the Silvertine (Celebdil) of my dreams". They went across the Kleine Scheidegg to Grindelwald and on across the Grosse Scheidegg to Meiringen. They continued across the Grimsel Pass, through the upper Valais to Brig and on to the Aletsch glacier and Zermatt. In October of the same year, Tolkien began studying at Exeter College, Oxford. He initially studied classics but changed his course in 1913 to English language and literature, graduating in 1915 with first-class honours. Edith and Ronald took to frequenting Birmingham teashops, especially one which had a balcony overlooking the pavement. There they would sit and throw sugarlumps into the hats of passers-by, moving to the next table when the sugar bowl was empty. ... With two people of their personalities and in their position, romance was bound to flourish. Both were orphans in need of affection, and they found that they could give it to each other. During the summer of 1909, they decided that they were in love. His guardian, Father Morgan, viewed Edith as the reason for Tolkien's having "muffed" his exams and considered it "altogether unfortunate" that his surrogate son was romantically involved with an older, Protestant woman. He prohibited him from meeting, talking to, or even corresponding with her until he was 21. 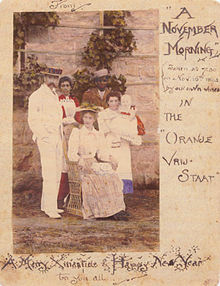 He obeyed this prohibition to the letter, with one notable early exception, over which Father Morgan threatened to cut short his university career if he did not stop. I had to choose between disobeying and grieving (or deceiving) a guardian who had been a father to me, more than most fathers ... and "dropping" the love-affair until I was 21. I don't regret my decision, though it was very hard on my lover. But it was not my fault. She was completely free and under no vow to me, and I should have had no just complaint (except according to the unreal romantic code) if she had got married to someone else. For very nearly three years I did not see or write to my lover. It was extremely hard, especially at first. The effects were not wholly good: I fell back into folly and slackness and misspent a good deal of my first year at college. On the evening of his 21st birthday, Tolkien wrote to Edith, who was living with family friend C. H. Jessop at Cheltenham. He declared that he had never ceased to love her, and asked her to marry him. Edith replied that she had already accepted the proposal of George Field, the brother of one of her closest schoolfriends. But Edith said she had agreed to marry Field only because she felt "on the shelf" and had begun to doubt that Tolkien still cared for her. She explained that, because of Tolkien's letter, everything had changed. On 8 January 1913, Tolkien travelled by train to Cheltenham and was met on the platform by Edith. The two took a walk into the countryside, sat under a railway viaduct, and talked. By the end of the day, Edith had agreed to accept Tolkien's proposal. She wrote to Field and returned her engagement ring. Field was "dreadfully upset at first", and the Field family was "insulted and angry". Upon learning of Edith's new plans, Jessop wrote to her guardian, "I have nothing to say against Tolkien, he is a cultured gentleman, but his prospects are poor in the extreme, and when he will be in a position to marry I cannot imagine. Had he adopted a profession it would have been different." Following their engagement, Edith reluctantly announced that she was converting to Catholicism at Tolkien's insistence. Jessop, "like many others of his age and class ... strongly anti-Catholic", was infuriated, and he ordered Edith to find other lodgings. Edith Bratt and Ronald Tolkien were formally engaged at Birmingham in January 1913, and married at St. Mary Immaculate Roman Catholic Church, Warwick, on 22 March 1916. In his 1941 letter to Michael, Tolkien expressed admiration for his wife's willingness to marry a man with no job, little money, and no prospects except the likelihood of being killed in the Great War. In August 1914, Britain entered the First World War. Tolkien's relatives were shocked when he elected not to immediately volunteer for the British Army. In a 1941 letter to his son Michael, Tolkien recalled: "In those days chaps joined up, or were scorned publicly. It was a nasty cleft to be in for a young man with too much imagination and little physical courage." Instead, Tolkien, "endured the obloquy", and entered a programme by which he delayed enlistment until completing his degree. By the time he passed his finals in July 1915, Tolkien recalled that the hints were "becoming outspoken from relatives". He was commissioned as a temporary second lieutenant in the Lancashire Fusiliers on 15 July 1915. He trained with the 13th (Reserve) Battalion on Cannock Chase, Staffordshire, for 11 months. In a letter to Edith, Tolkien complained: "Gentlemen are rare among the superiors, and even human beings rare indeed." Following their wedding, Lieutenant and Mrs. Tolkien took up lodgings near the training camp. On 2 June 1916, Tolkien received a telegram summoning him to Folkestone for posting to France. The Tolkiens spent the night before his departure in a room at the Plough & Harrow Hotel in Edgbaston, Birmingham. He later wrote: "Junior officers were being killed off, a dozen a minute. Parting from my wife then ... it was like a death." On 5 June 1916, Tolkien boarded a troop transport for an overnight voyage to Calais. Like other soldiers arriving for the first time, he was sent to the British Expeditionary Force's (BEF) base depot at Étaples. On 7 June, he was informed that he had been assigned as a signals officer to the 11th (Service) Battalion, Lancashire Fusiliers. The battalion was part of the 74th Brigade, 25th Division. While waiting to be summoned to his unit, Tolkien sank into boredom. To pass the time, he composed a poem entitled The Lonely Isle, which was inspired by his feelings during the sea crossing to Calais. To evade the British Army's postal censorship, he also developed a code of dots by which Edith could track his movements. He left Étaples on 27 June 1916 and joined his battalion at Rubempré, near Amiens. He found himself commanding enlisted men who were drawn mainly from the mining, milling, and weaving towns of Lancashire. According to John Garth, he "felt an affinity for these working class men", but military protocol prohibited friendships with "other ranks". Instead, he was required to "take charge of them, discipline them, train them, and probably censor their letters ... If possible, he was supposed to inspire their love and loyalty." Tolkien later lamented, "The most improper job of any man ... is bossing other men. Not one in a million is fit for it, and least of all those who seek the opportunity." 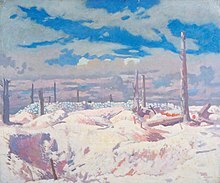 The Schwaben Redoubt, painting by William Orpen. Imperial War Museum, London. On one occasion I spent the night with the Brigade Machine Gun Officer and the Signals Officer in one of the captured German dugouts ... We dossed down for the night in the hopes of getting some sleep, but it was not to be. We no sooner lay down than hordes of lice got up. So we went round to the Medical Officer, who was also in the dugout with his equipment, and he gave us some ointment which he assured us would keep the little brutes away. We anointed ourselves all over with the stuff and again lay down in great hopes, but it was not to be, because instead of discouraging them it seemed to act like a kind of hors d'oeuvre and the little beggars went at their feast with renewed vigour. On 27 October 1916, as his battalion attacked Regina Trench, Tolkien came down with trench fever, a disease carried by the lice. He was invalided to England on 8 November 1916. Many of his dearest school friends were killed in the war. Among their number were Rob Gilson of the Tea Club and Barrovian Society, who was killed on the first day of the Somme while leading his men in the assault on Beaumont Hamel. Fellow T.C.B.S. member Geoffrey Smith was killed during the same battle when a German artillery shell landed on a first aid post. Tolkien's battalion was almost completely wiped out following his return to England. Although Kitchener's army enshrined old social boundaries, it also chipped away at the class divide by throwing men from all walks of life into a desperate situation together. 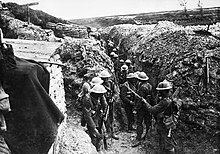 Tolkien wrote that the experience taught him, "a deep sympathy and feeling for the Tommy; especially the plain soldier from the agricultural counties". He remained profoundly grateful for the lesson. For a long time, he had been imprisoned in a tower, not of pearl, but of ivory. During his recovery in a cottage in Little Haywood, Staffordshire, he began to work on what he called The Book of Lost Tales, beginning with The Fall of Gondolin. Lost Tales represented Tolkien's attempt to create a mythology for England, a project he would abandon without ever completing. Throughout 1917 and 1918 his illness kept recurring, but he had recovered enough to do home service at various camps. It was at this time that Edith bore their first child, John Francis Reuel Tolkien. In a 1941 letter, Tolkien described his son John as "(conceived and carried during the starvation-year of 1917 and the great U-Boat campaign) round about the Battle of Cambrai, when the end of the war seemed as far off as it does now". I never called Edith Luthien—but she was the source of the story that in time became the chief part of the Silmarillion. It was first conceived in a small woodland glade filled with hemlocks at Roos in Yorkshire (where I was for a brief time in command of an outpost of the Humber Garrison in 1917, and she was able to live with me for a while). In those days her hair was raven, her skin clear, her eyes brighter than you have seen them, and she could sing—and dance. But the story has gone crooked, & I am left, and I cannot plead before the inexorable Mandos. This incident inspired the account of the meeting of Beren and Lúthien. On 3 November 1920, Tolkien was demobilized and left the army, retaining his rank of lieutenant. His first civilian job after World War I was at the Oxford English Dictionary, where he worked mainly on the history and etymology of words of Germanic origin beginning with the letter W. In 1920, he took up a post as reader in English language at the University of Leeds, becoming the youngest professor there. While at Leeds, he produced A Middle English Vocabulary and a definitive edition of Sir Gawain and the Green Knight with E. V. Gordon; both became academic standard works for several decades. He translated Sir Gawain, Pearl, and Sir Orfeo. In 1925, he returned to Oxford as Rawlinson and Bosworth Professor of Anglo-Saxon, with a fellowship at Pembroke College. In mid-1919, he began to privately tutor undergraduates, most importantly those of Lady Margaret Hall and St Hugh's College, given that the women's colleges were in great need of good teachers in their early years. During his time at Pembroke College Tolkien wrote The Hobbit and the first two volumes of The Lord of the Rings, while living at 20 Northmoor Road in North Oxford (where a blue plaque was placed in 2002). He also published a philological essay in 1932 on the name "Nodens", following Sir Mortimer Wheeler's unearthing of a Roman Asclepeion at Lydney Park, Gloucestershire, in 1928. In the 1920s, Tolkien undertook a translation of Beowulf, which he finished in 1926, but did not publish. It was finally edited by his son and published in 2014, more than 40 years after Tolkien's death and almost 90 years since its completion. Ten years after finishing his translation, Tolkien gave a highly acclaimed lecture on the work, "Beowulf: The Monsters and the Critics", which had a lasting influence on Beowulf research. Lewis E. Nicholson said that the article Tolkien wrote about Beowulf is "widely recognized as a turning point in Beowulfian criticism", noting that Tolkien established the primacy of the poetic nature of the work as opposed to its purely linguistic elements. At the time, the consensus of scholarship deprecated Beowulf for dealing with childish battles with monsters rather than realistic tribal warfare; Tolkien argued that the author of Beowulf was addressing human destiny in general, not as limited by particular tribal politics, and therefore the monsters were essential to the poem. Where Beowulf does deal with specific tribal struggles, as at Finnsburg, Tolkien argued firmly against reading in fantastic elements. In the essay, Tolkien also revealed how highly he regarded Beowulf: "Beowulf is among my most valued sources", and this influence may be seen throughout his Middle-earth legendarium. I don't think that I have ever told you what an unforgettable experience it was for me as an undergraduate, hearing you recite Beowulf. The voice was the voice of Gandalf. In the run-up to the Second World War, Tolkien was earmarked as a codebreaker. In January 1939, he was asked whether he would be prepared to serve in the cryptographic department of the Foreign Office in the event of national emergency. He replied in the affirmative and, beginning on 27 March, took an instructional course at the London HQ of the Government Code and Cypher School. A record of his training was found which included the notation "keen" next to his name, although Tolkien scholar Anders Stenström suggested that "In all likelihood, that is not a record of Tolkien's interest, but a note about how to pronounce the name." He was informed in October that his services would not be required. In 1945, Tolkien moved to Merton College, Oxford, becoming the Merton Professor of English Language and Literature, in which post he remained until his retirement in 1959. He served as an external examiner for University College, Dublin, for many years. In 1954 Tolkien received an honorary degree from the National University of Ireland (of which U.C.D. 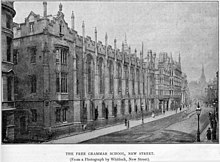 was a constituent college). Tolkien completed The Lord of the Rings in 1948, close to a decade after the first sketches. Tolkien also translated the Book of Jonah for the Jerusalem Bible, which was published in 1966. The Tolkiens had four children: John Francis Reuel Tolkien (17 November 1917 – 22 January 2003), Michael Hilary Reuel Tolkien (22 October 1920 – 27 February 1984), Christopher John Reuel Tolkien (born 21 November 1924) and Priscilla Mary Anne Reuel Tolkien (born 18 June 1929). Tolkien was very devoted to his children and sent them illustrated letters from Father Christmas when they were young. Each year more characters were added, such as the North Polar Bear (Father Christmas's helper), the Snow Man (his gardener), Ilbereth the elf (his secretary), and various other, minor characters. The major characters would relate tales of Father Christmas's battles against goblins who rode on bats and the various pranks committed by the North Polar Bear. During his life in retirement, from 1959 up to his death in 1973, Tolkien received steadily increasing public attention and literary fame. In 1961, his friend C. S. Lewis even nominated him for the Nobel Prize in Literature. The sales of his books were so profitable that he regretted that he had not chosen early retirement. At first, he wrote enthusiastic answers to readers' enquiries, but he became increasingly unhappy about the sudden popularity of his books with the 1960s counter-culture movement. In a 1972 letter, he deplored having become a cult-figure, but admitted that "even the nose of a very modest idol ... cannot remain entirely untickled by the sweet smell of incense!" Fan attention became so intense that Tolkien had to take his phone number out of the public directory, and eventually he and Edith moved to Bournemouth, which was then a seaside resort patronized by the British upper middle class. Tolkien's status as a best-selling author gave them easy entry into polite society, but Tolkien deeply missed the company of his fellow Inklings. Edith, however, was overjoyed to step into the role of a society hostess, which had been the reason that Tolkien selected Bournemouth in the first place. Those friends who knew Ronald and Edith Tolkien over the years never doubted that there was deep affection between them. It was visible in the small things, the almost absurd degree in which each worried about the other's health, and the care in which they chose and wrapped each other's birthday presents; and in the large matters, the way in which Ronald willingly abandoned such a large part of his life in retirement to give Edith the last years in Bournemouth that he felt she deserved, and the degree in which she showed pride in his fame as an author. A principal source of happiness to them was their shared love of their family. This bound them together until the end of their lives, and it was perhaps the strongest force in the marriage. They delighted to discuss and mull over every detail of the lives of their children, and later their grandchildren. My grandmother died two years before my grandfather and he came back to live in Oxford. Merton College gave him rooms just off the High Street. I went there frequently and he'd take me to lunch in the Eastgate Hotel. Those lunches were rather wonderful for a 12-year-old boy spending time with his grandfather, but sometimes he seemed sad. There was one visit when he told me how much he missed my grandmother. It must have been very strange for him being alone after they had been married for more than 50 years. Tolkien was appointed by Queen Elizabeth II a Commander of the Order of the British Empire in the 1972 New Year Honours and received the insignia of the Order at Buckingham Palace on 28 March 1972. In the same year Oxford University conferred upon him an honorary Doctorate of Letters. In Tolkien's Middle-earth legendarium, Lúthien was the most beautiful of all the Children of Ilúvatar, and forsook her immortality for her love of the mortal warrior Beren. After Beren was captured by the forces of the Dark Lord Morgoth, Lúthien rode to his rescue upon the talking wolfhound Huan. Ultimately, when Beren was slain in battle against the demonic wolf Carcharoth, Lúthien, like Orpheus, approached the Valar, the angelic order of beings placed in charge of the world by Eru (God), and persuaded them to restore her beloved to life. Tolkien was a devout Roman Catholic, and in his religious and political views he was mostly a traditionalist moderate, with libertarian, distributist, and monarchist leanings, in the sense of favouring established conventions and orthodoxies over innovation and modernization, whilst castigating government bureaucracy; in 1943 he wrote, "My political opinions lean more and more to Anarchy (philosophically understood, meaning abolition of control not whiskered men with bombs)—or to 'unconstitutional' Monarchy." Although he did not often write or speak about it, Tolkien advocated the dismantling of the British Empire and even of the United Kingdom. In a 1936 letter to a former student, Belgian linguist Simonne d'Ardenne, he wrote, "The political situation is dreadful... I have the greatest sympathy with Belgium—which is about the right size of any country! I wish my own were bounded still by the seas of the Tweed and the walls of Wales... we folk do at least know something of mortality and eternity and when Hitler (or a Frenchman) says 'Germany (or France) must live forever' we know that he lies." Tolkien had an intense hatred for the side effects of industrialization, which he considered to be devouring the English countryside and simpler life. For most of his adult life, he was disdainful of cars, preferring to ride a bicycle. This attitude can be seen in his work, most famously in the portrayal of the forced "industrialization" of the Shire in The Lord of the Rings. Many commentators have remarked on a number of potential parallels between the Middle-earth saga and events in Tolkien's lifetime. The Lord of the Rings is often thought to represent England during and immediately after the Second World War. Tolkien ardently rejected this opinion in the foreword to the second edition of the novel, stating he preferred applicability to allegory. This theme is taken up at greater length in his essay "On Fairy-Stories", where he argues that fairy-stories are so apt because they are consistent both within themselves and with some truths about reality. He concludes that Christianity itself follows this pattern of inner consistency and external truth. His belief in the fundamental truths of Christianity leads commentators to find Christian themes in The Lord of the Rings. Tolkien objected strongly to C. S. Lewis's use of religious references in his stories, which were often overtly allegorical. However, Tolkien wrote that the Mount Doom scene exemplified lines from the Lord's Prayer. His love of myths and his devout faith came together in his assertion that he believed mythology to be the divine echo of "the Truth". This view was expressed in his poem and essay entitled Mythopoeia. His theory that myths held "fundamental truths" became a central theme of the Inklings in general. Tolkien's devout Roman Catholic faith was a significant factor in the conversion of C. S. Lewis from atheism to Christianity, although Tolkien was dismayed that Lewis chose to join the Church of England. He once wrote in a letter to Rayner Unwin's daughter Camilla, who wished to know what the purpose of life was, that "[i]t may be said that the chief purpose of life, for any one of us, is to increase according to our capacity our knowledge of God by all the means we have, and to be moved by it to praise and thanks." Tolkien voiced support for the Nationalists (eventually led by Franco during the Spanish Civil War) upon hearing that communist Republicans were destroying churches and killing priests and nuns. Tolkien was contemptuous of Joseph Stalin. During World War II, Tolkien referred to Stalin as "that bloodthirsty old murderer". However, in 1961, Tolkien sharply criticized a Swedish commentator who suggested that The Lord of the Rings was an anti-communist parable and identified Sauron with Stalin. Tolkien said, "I utterly repudiate any such reading, which angers me. The situation was conceived long before the Russian revolution. Such allegory is entirely foreign to my thought." But if I am to understand that you are enquiring whether I am of Jewish origin, I can only reply that I regret that I appear to have no ancestors of that gifted people. My great-great-grandfather came to England in the 18th century from Germany: the main part of my descent is therefore purely English, and I am an English subject—which should be sufficient. I have been accustomed, nonetheless, to regard my German name with pride, and continued to do so throughout the period of the late regrettable war, in which I served in the English army. I cannot, however, forbear to comment that if impertinent and irrelevant inquiries of this sort are to become the rule in matters of literature, then the time is not far distant when a German name will no longer be a source of pride. You have to understand the good in things, to detect the real evil. But no one ever calls on me to "broadcast" or do a postscript. Yet I suppose I know better than most what is the truth about this "Nordic" nonsense. Anyway, I have in this war a burning private grudge... against that ruddy little ignoramus Adolf Hitler ... Ruining, perverting, misapplying, and making for ever accursed, that noble northern spirit, a supreme contribution to Europe, which I have ever loved, and tried to present in its true light. Nowhere, incidentally, was it nobler than in England, nor more early sanctified and Christianized. In 1968, he objected to a description of Middle-earth as "Nordic", a term he said he disliked because of its association with racialist theories. We were supposed to have reached a stage of civilization in which it might still be necessary to execute a criminal, but not to gloat, or to hang his wife and child by him while the orc-crowd hooted. The destruction of Germany, be it 100 times merited, is one of the most appalling world-catastrophes. Well, well,—you and I can do nothing about it. And that [should] be a measure of the amount of guilt that can justly be assumed to attach to any member of a country who is not a member of its actual Government. Well the first War of the Machines seems to be drawing to its final inconclusive chapter—leaving, alas, everyone the poorer, many bereaved or maimed and millions dead, and only one thing triumphant: the Machines. ...it is distressing to see the press grovelling in the gutter as low as Goebbels in his prime, shrieking that any German commander who holds out in a desperate situation (when, too, the military needs of his side clearly benefit) is a drunkard, and a besotted fanatic. ... There was a solemn article in the local paper seriously advocating systematic exterminating of the entire German nation as the only proper course after military victory: because, if you please, they are rattlesnakes, and don't know the difference between good and evil! (What of the writer?) The Germans have just as much right to declare the Poles and Jews exterminable vermin, subhuman, as we have to select the Germans: in other words, no right, whatever they have done. Tolkien was horrified by the 1945 atomic bombings of Hiroshima and Nagasaki, referring to the scientists of the Manhattan Project as "these lunatic physicists" and "Babel-builders". During most of his own life conservationism was not yet on the political agenda, and Tolkien himself did not directly express conservationist views—except in some private letters, in which he tells about his fondness for forests and sadness at tree-felling. In later years, a number of authors of biographies or literary analyses of Tolkien conclude that during his writing of The Lord of the Rings, Tolkien gained increased interest in the value of wild and untamed nature, and in protecting what wild nature was left in the industrialized world. Tolkien devised several themes that were reused in successive drafts of his legendarium, beginning with The Book of Lost Tales, written while recuperating from illnesses contracted during The Battle of the Somme. The two most prominent stories, the tale of Beren and Lúthien and that of Túrin, were carried forward into long narrative poems (published in The Lays of Beleriand). One of the greatest influences on Tolkien was the Arts and Crafts polymath William Morris. Tolkien wished to imitate Morris's prose and poetry romances, from which he took hints for the names of features such as the Dead Marshes in The Lord of the Rings and Mirkwood, along with some general aspects of approach. Edward Wyke-Smith's The Marvellous Land of Snergs, with its "table-high" title characters, strongly influenced the incidents, themes, and depiction of Bilbo's race in The Hobbit. Tolkien also cited H. Rider Haggard's novel She in a telephone interview: "I suppose as a boy She interested me as much as anything—like the Greek shard of Amyntas [Amenartas], which was the kind of machine by which everything got moving." A supposed facsimile of this potsherd appeared in Haggard's first edition, and the ancient inscription it bore, once translated, led the English characters to She's ancient kingdom. Critics have compared this device to the Testament of Isildur in The Lord of the Rings and to Tolkien's efforts to produce as an illustration a realistic page from the Book of Mazarbul. Critics starting with Edwin Muir have found resemblances between Haggard's romances and Tolkien's. Tolkien wrote of being impressed as a boy by S. R. Crockett's historical novel The Black Douglas and of basing the Necromancer (Sauron) on its villain, Gilles de Retz. Incidents in both The Hobbit and The Lord of the Rings are similar in narrative and style to the novel, and its overall style and imagery have been suggested as an influence on Tolkien. Tolkien was inspired by early Germanic, especially Old English, literature, poetry, and mythology, which were his chosen and much-loved areas of expertise. These sources of inspiration included Old English literature such as Beowulf, Norse sagas such as the Volsunga saga and the Hervarar saga, the Poetic Edda, the Prose Edda, the Nibelungenlied, and numerous other culturally related works. Despite the similarities of his work to the Volsunga saga and the Nibelungenlied, which were the basis for Richard Wagner's opera cycle Der Ring des Nibelungen, Tolkien dismissed critics' direct comparisons to Wagner, telling his publisher, "Both rings were round, and there the resemblance ceases." However, some critics believe that Tolkien was, in fact, indebted to Wagner for elements such as the "concept of the Ring as giving the owner mastery of the world ..." Two of the characteristics possessed by the One Ring, its inherent malevolence and corrupting power upon minds and wills, were not present in the mythical sources but have a central role in Wagner's opera. Needless to say they are not Celtic! Neither are the tales. I do know Celtic things (many in their original languages Irish and Welsh), and feel for them a certain distaste: largely for their fundamental unreason. They have bright colour, but are like a broken stained glass window reassembled without design. They are in fact "mad" as your reader says—but I don't believe I am. Fimi pointed out that despite his dismissive remarks about "Celtic things" in 1937 that Tolkien was fluent in medieval Welsh (though not modern Welsh) and declared when delivering the first O'Donnell lectures at Oxford in 1954 about the influences of Celtic languages on the English language that "Welsh is beautiful". One of Tolkien's purposes when writing his Middle-earth books was to create what his biographer Humphrey Carpenter called a "mythology for England" with Carpenter citing in support Tolkien's letter to Milton Waldman complaining of the "poverty of my country: it had no stories of its own (bound up with its tongue and soil)" unlike the Celtic nations of Scotland, Ireland and Wales, which all had their own well developed mythologies. Tolkien himself never used the exact phrase "a mythology for England", but he often made statements to that effect, writing to one reader that his intention in writing the Middle-earth stories was "to restore to the English an epic tradition and present them with a mythology of their own". In the early 20th century, proponents of Irish nationalism like the poet William Butler Yeats, Lady Gregory and others had succeeded in linking in the public mind traditional Irish folk tales of fairies and elves to Irish national identity while denigrating English folk tales as being merely derivative of Irish folk tales. This had prompted a backlash by English writers, leading to a savage war of words about which nation had the more authentic and better fairy tales with for example the English essayist G. K. Chesterton engaging in a series of polemical essays with Yeats over the question of the superiority of Irish vs. English fairy tales. Even though there is nothing innately anti-English about Irish folklore, the way in which Irish mythology became associated with Irish nationalism, being promoted most enthusiastically by those favouring Irish independence, led many to perceive Irish mythology and folklore as Anglophobic. Tolkien with his determination to write a "mythology for England" was for this reason disinclined to admit to Celtic influences. Fimi noted in particular that the story of the Noldor, the Elves who fled Valinor for Middle-earth, resembles the story related in the Lebor Gabála Érenn of the semi-divine Tuatha Dé Danann who fled from what is variously described as a place in the north or Greece to conquer Ireland. Like Tolkien's Elves, the Tuatha Dé Danann are inferior to the gods, but superior to humans; being endowed with extraordinary skills as craftsmen, poets, warriors, and magicians. Likewise, after the triumph of humanity, both the Elves and the Tuatha Dé Danann are driven underground, which causes their "fading", leading them to become diminutive and pale. The Lord of the Rings is of course a fundamentally religious and Catholic work; unconsciously so at first, but consciously in the revision. That is why I have not put in, or have cut out, practically all references to anything like "religion", to cults or practices, in the imaginary world. For the religious element is absorbed into the story and the symbolism. Specifically, Paul H. Kocher argues that Tolkien describes evil in the orthodox Christian way as the absence of good. He cites many examples in The Lord of the Rings, such as Sauron's "Lidless Eye": "the black slit of its pupil opened on a pit, a window into nothing". Kocher sees Tolkien's source as Thomas Aquinas, "whom it is reasonable to suppose that Tolkien, as a medievalist and a Catholic, knows well". Tom Shippey makes the same point, but, instead of referring to Aquinas, says Tolkien was very familiar with Alfred the Great's Anglo-Saxon translation of Boethius' Consolation of Philosophy, known as the Lays of Boethius. Shippey contends that this Christian view of evil is most clearly stated by Boethius: "evil is nothing". He says Tolkien used the corollary that evil cannot create as the basis of Frodo's remark, "the Shadow ... can only mock, it cannot make: not real new things of its own", and related remarks by Treebeard and Elrond. He goes on to argue that in The Lord of the Rings evil does sometimes seem to be an independent force, more than merely the absence of good, and suggests that Alfred's additions to his translation of Boethius may have inspired that view. Stratford Caldecott also interpreted the Ring in theological terms: "The Ring of Power exemplifies the dark magic of the corrupted will, the assertion of self in disobedience to God. It appears to give freedom, but its true function is to enslave the wearer to the Fallen Angel. It corrodes the human will of the wearer, rendering him increasingly 'thin' and unreal; indeed, its gift of invisibility symbolizes this ability to destroy all natural human relationships and identity. You could say the Ring is sin itself: tempting and seemingly harmless to begin with, increasingly hard to give up and corrupting in the long run." As for the poem, one dragon, however hot, does not make a summer, or a host; and a man might well exchange for one good dragon what he would not sell for a wilderness. And dragons, real dragons, essential both to the machinery and the ideas of a poem or tale, are actually rare. In addition to his mythopoeic compositions, Tolkien enjoyed inventing fantasy stories to entertain his children. He wrote annual Christmas letters from Father Christmas for them, building up a series of short stories (later compiled and published as The Father Christmas Letters). Other works included Mr. Bliss and Roverandom (for children), and Leaf by Niggle (part of Tree and Leaf), The Adventures of Tom Bombadil, Smith of Wootton Major and Farmer Giles of Ham. Roverandom and Smith of Wootton Major, like The Hobbit, borrowed ideas from his legendarium. Tolkien never expected his stories to become popular, but by sheer accident a book called The Hobbit, which he had written some years before for his own children, came in 1936 to the attention of Susan Dagnall, an employee of the London publishing firm George Allen & Unwin, who persuaded Tolkien to submit it for publication. When it was published a year later, the book attracted adult readers as well as children, and it became popular enough for the publishers to ask Tolkien to produce a sequel. The request for a sequel prompted Tolkien to begin what would become his most famous work: the epic novel The Lord of the Rings (originally published in three volumes 1954–1955). Tolkien spent more than ten years writing the primary narrative and appendices for The Lord of the Rings, during which time he received the constant support of the Inklings, in particular his closest friend C. S. Lewis, the author of The Chronicles of Narnia. Both The Hobbit and The Lord of the Rings are set against the background of The Silmarillion, but in a time long after it. Tolkien at first intended The Lord of the Rings to be a children's tale in the style of The Hobbit, but it quickly grew darker and more serious in the writing. Though a direct sequel to The Hobbit, it addressed an older audience, drawing on the immense backstory of Beleriand that Tolkien had constructed in previous years, and which eventually saw posthumous publication in The Silmarillion and other volumes. Tolkien's influence weighs heavily on the fantasy genre that grew up after the success of The Lord of the Rings. The Lord of the Rings became immensely popular in the 1960s and has remained so ever since, ranking as one of the most popular works of fiction of the 20th century, judged by both sales and reader surveys. In the 2003 "Big Read" survey conducted by the BBC, The Lord of the Rings was found to be the UK's "Best-loved Novel". Australians voted The Lord of the Rings "My Favourite Book" in a 2004 survey conducted by the Australian ABC. In a 1999 poll of Amazon.com customers, The Lord of the Rings was judged to be their favourite "book of the millennium". In 2002 Tolkien was voted the 92nd "greatest Briton" in a poll conducted by the BBC, and in 2004 he was voted 35th in the SABC3's Great South Africans, the only person to appear in both lists. His popularity is not limited to the English-speaking world: in a 2004 poll inspired by the UK's "Big Read" survey, about 250,000 Germans found The Lord of the Rings to be their favourite work of literature. Tolkien wrote a brief "Sketch of the Mythology", which included the tales of Beren and Lúthien and of Túrin; and that sketch eventually evolved into the Quenta Silmarillion, an epic history that Tolkien started three times but never published. Tolkien desperately hoped to publish it along with The Lord of the Rings, but publishers (both Allen & Unwin and Collins) declined. Moreover, printing costs were very high in 1950s Britain, requiring The Lord of the Rings to be published in three volumes. The story of this continuous redrafting is told in the posthumous series The History of Middle-earth, edited by Tolkien's son, Christopher Tolkien. From around 1936, Tolkien began to extend this framework to include the tale of The Fall of Númenor, which was inspired by the legend of Atlantis. Tolkien had appointed his son Christopher to be his literary executor, and he (with assistance from Guy Gavriel Kay, later a well-known fantasy author in his own right) organized some of this material into a single coherent volume, published as The Silmarillion in 1977. It received the Locus Award for Best Fantasy novel in 1978. In 1980, Christopher Tolkien published a collection of more fragmentary material, under the title Unfinished Tales of Númenor and Middle-earth. In subsequent years (1983–1996), he published a large amount of the remaining unpublished materials, together with notes and extensive commentary, in a series of twelve volumes called The History of Middle-earth. They contain unfinished, abandoned, alternative, and outright contradictory accounts, since they were always a work in progress for Tolkien and he only rarely settled on a definitive version for any of the stories. There is not complete consistency between The Lord of the Rings and The Hobbit, the two most closely related works, because Tolkien never fully integrated all their traditions into each other. He commented in 1965, while editing The Hobbit for a third edition, that he would have preferred to completely rewrite the book because of the style of its prose. One of Tolkien's least-known short works is the children's storybook Mr. Bliss, published in 1982. It tells the story of Mr. Bliss and his first ride in his new motor-car. Many adventures follow: encounters with bears, angry neighbours, irate shopkeepers, and assorted collisions. The story was inspired by Tolkien's own vehicular mishaps with his first car, purchased in 1932. The bears were based on toy bears owned by Tolkien's sons. Tolkien was both author and illustrator of the book. He submitted it to his publishers as a balm to readers who were hungry for more from him after the success of The Hobbit. The lavish ink and coloured-pencil illustrations would have made production costs prohibitively expensive. Tolkien agreed to redraw the pictures in a simpler style, but then found he did not have time to do so. The book was published in 1982 as a facsimile of Tolkien's difficult-to-read illustrated manuscript, with a typeset transcription on each facing page. More recently, in 2007, The Children of Húrin was published by HarperCollins (in the UK and Canada) and Houghton Mifflin (in the US). The novel tells the story of Túrin Turambar and his sister Nienor, children of Húrin Thalion. The material was compiled by Christopher Tolkien from The Silmarillion, Unfinished Tales, The History of Middle-earth, and unpublished manuscripts. The Legend of Sigurd and Gudrún, which was released worldwide on 5 May 2009 by HarperCollins and Houghton Mifflin Harcourt, retells the legend of Sigurd and the fall of the Niflungs from Germanic mythology. It is a narrative poem composed in alliterative verse and is modelled after the Old Norse poetry of the Elder Edda. Christopher Tolkien supplied copious notes and commentary upon his father's work. Thank you for your wonderful effort in translating and reorganising The Song of the Sibyl. In return again I hope to send you, if I can lay my hands on it (I hope it isn't lost), a thing I did many years ago when trying to learn the art of writing alliterative poetry: an attempt to unify the lays about the Völsungs from the Elder Edda, written in the old eight-line fornyrðislag stanza. The Fall of Arthur, published on 23 May 2013, is a long narrative poem composed by Tolkien in the early-1930s. It is alliterative, extending to almost 1,000 lines imitating the Old English Beowulf metre in Modern English. Though inspired by high medieval Arthurian fiction, the historical setting of the poem is during the Post-Roman Migration Period, both in form (using Germanic verse) and in content, showing Arthur as a British warlord fighting the Saxon invasion, while it avoids the high medieval aspects of the Arthurian cycle (such as the Grail, and the courtly setting); the poem begins with a British "counter-invasion" to the Saxon lands (Arthur eastward in arms purposed). Beowulf: A Translation and Commentary, published on 22 May 2014, is a prose translation of the early medieval epic poem Beowulf from Old English to modern English. Translated by Tolkien from 1920 to 1926, it was edited by his son Christopher. The translation is followed by over 200 pages of commentary on the poem; this commentary was the basis of Tolkien's acclaimed 1936 lecture "Beowulf: The Monsters and the Critics". The book also includes the previously unpublished "Sellic Spell" and two versions of "The Lay of Beowulf". The former is a fantasy piece on Beowulf's biographical background, while the latter is a poem on the Beowulf theme. The Story of Kullervo, first published in Tolkien Studies in 2010 and reissued with additional material in 2015, is a retelling of a 19th-century Finnish poem. It was written in 1915 while Tolkien was studying at Oxford. The Tale of Beren and Lúthien is one of the oldest and most often revised in Tolkien's legendarium. The story is one of three contained within The Silmarillion which Tolkien believed to warrant their own long-form narratives. It was published as a standalone book, edited by Christopher Tolkien, under the title Beren and Lúthien in 2017. The Fall of Gondolin is a tale of a beautiful, mysterious city destroyed by dark forces, which Tolkien called "the first real story" of Middle-earth, was published on 30 August 2018 as a standalone book, edited by Christopher Tolkien and illustrated by Alan Lee. Before his death, Tolkien negotiated the sale of the manuscripts, drafts, proofs and other materials related to his then-published works—including The Lord of the Rings, The Hobbit and Farmer Giles of Ham—to the Department of Special Collections and University Archives at Marquette University's John P. Raynor, S.J., Library in Milwaukee, Wisconsin. After his death his estate donated the papers containing Tolkien's Silmarillion mythology and his academic work to the Bodleian Library at Oxford University. The Library held an exhibition of his work in 2018, including more than 60 items which had never been seen in public before. In 2009, a partial draft of Language and Human Nature, which Tolkien had begun co-writing with C. S. Lewis but had never completed, was discovered at the Bodleian Library. Both Tolkien's academic career and his literary production are inseparable from his love of language and philology. He specialized in English philology at university and in 1915 graduated with Old Norse as his special subject. He worked on the Oxford English Dictionary from 1918 and is credited with having worked on a number of words starting with the letter W, including walrus, over which he struggled mightily. 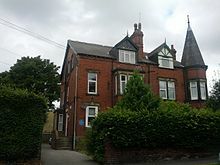 In 1920, he became Reader in English Language at the University of Leeds, where he claimed credit for raising the number of students of linguistics from five to twenty. He gave courses in Old English heroic verse, history of English, various Old English and Middle English texts, Old and Middle English philology, introductory Germanic philology, Gothic, Old Icelandic, and Medieval Welsh. When in 1925, aged thirty-three, Tolkien applied for the Rawlinson and Bosworth Professorship of Anglo-Saxon at Pembroke College, Oxford, he boasted that his students of Germanic philology in Leeds had even formed a "Viking Club". He also had a certain, if imperfect, knowledge of Finnish. Privately, Tolkien was attracted to "things of racial and linguistic significance", and in his 1955 lecture English and Welsh, which is crucial to his understanding of race and language, he entertained notions of "inherent linguistic predilections", which he termed the "native language" as opposed to the "cradle-tongue" which a person first learns to speak. He considered the West Midlands dialect of Middle English to be his own "native language", and, as he wrote to W. H. Auden in 1955, "I am a West-midlander by blood (and took to early west-midland Middle English as a known tongue as soon as I set eyes on it)." Parallel to Tolkien's professional work as a philologist, and sometimes overshadowing this work, to the effect that his academic output remained rather thin, was his affection for constructing languages. The most developed of these are Quenya and Sindarin, the etymological connection between which formed the core of much of Tolkien's legendarium. Language and grammar for Tolkien was a matter of esthetics and euphony, and Quenya in particular was designed from "phonaesthetic" considerations; it was intended as an "Elvenlatin", and was phonologically based on Latin, with ingredients from Finnish, Welsh, English, and Greek. A notable addition came in late 1945 with Adûnaic or Númenórean, a language of a "faintly Semitic flavour", connected with Tolkien's Atlantis legend, which by The Notion Club Papers ties directly into his ideas about the inability of language to be inherited, and via the "Second Age" and the story of Eärendil was grounded in the legendarium, thereby providing a link of Tolkien's 20th-century "real primary world" with the legendary past of his Middle-earth. Tolkien considered languages inseparable from the mythology associated with them, and he consequently took a dim view of auxiliary languages: in 1930 a congress of Esperantists were told as much by him, in his lecture A Secret Vice, "Your language construction will breed a mythology", but by 1956 he had concluded that "Volapük, Esperanto, Ido, Novial, &c, &c, are dead, far deader than ancient unused languages, because their authors never invented any Esperanto legends". The popularity of Tolkien's books has had a small but lasting effect on the use of language in fantasy literature in particular, and even on mainstream dictionaries, which today commonly accept Tolkien's idiosyncratic spellings dwarves and dwarvish (alongside dwarfs and dwarfish), which had been little used since the mid-19th century and earlier. (In fact, according to Tolkien, had the Old English plural survived, it would have been dwarrows or dwerrows.) He also coined the term eucatastrophe, though it remains mainly used in connection with his own work. Tolkien was an accomplished artist, who learned to paint and draw as a child and continued to do so all his life. From early in his writing career, the development of his stories was accompanied by drawings and paintings, especially of landscapes, and by maps of the lands in which the tales were set. He also produced pictures to accompany the stories told to his own children, including those later published in Mr Bliss and Roverandom, and sent them elaborately illustrated letters purporting to come from Father Christmas. Although he regarded himself as an amateur, the publisher used the author's own cover art, maps, and full-page illustrations for the early editions of The Hobbit. Much of his artwork was collected and published in 1995 as a book: J. R. R. Tolkien: Artist and Illustrator. The book discusses Tolkien's paintings, drawings, and sketches, and reproduces approximately 200 examples of his work. In a 1951 letter to publisher Milton Waldman (1895–1976), Tolkien wrote about his intentions to create a "body of more or less connected legend", of which "[t]he cycles should be linked to a majestic whole, and yet leave scope for other minds and hands, wielding paint and music and drama". The hands and minds of many artists have indeed been inspired by Tolkien's legends. Personally known to him were Pauline Baynes (Tolkien's favourite illustrator of The Adventures of Tom Bombadil and Farmer Giles of Ham) and Donald Swann (who set the music to The Road Goes Ever On). Queen Margrethe II of Denmark created illustrations to The Lord of the Rings in the early 1970s. She sent them to Tolkien, who was struck by the similarity they bore in style to his own drawings. However, Tolkien was not fond of all the artistic representation of his works that were produced in his lifetime, and was sometimes harshly disapproving. In 1946, he rejected suggestions for illustrations by Horus Engels for the German edition of The Hobbit as "too Disnified ... Bilbo with a dribbling nose, and Gandalf as a figure of vulgar fun rather than the Odinic wanderer that I think of". Thank you for sending me the projected "blurbs", which I return. The Americans are not as a rule at all amenable to criticism or correction; but I think their effort is so poor that I feel constrained to make some effort to improve it. In human art Fantasy is a thing best left to words, to true literature. ... Drama is naturally hostile to Fantasy. Fantasy, even of the simplest kind, hardly ever succeeds in Drama, when that is presented as it should be, visibly and audibly acted. Tolkien scholar James Dunning coined the word Tollywood, a portmanteau derived from "Tolkien Hollywood", to describe attempts to create a cinematographic adaptation of the stories in Tolkien's legendarium aimed at generating good box office results, rather than at fidelity to the idea of the original. Tolkien went on to criticize the script scene by scene ("yet one more scene of screams and rather meaningless slashings"). He was not implacably opposed to the idea of a dramatic adaptation, however, and sold the film, stage and merchandise rights of The Hobbit and The Lord of the Rings to United Artists in 1968. United Artists never made a film, although director John Boorman was planning a live-action film in the early 1970s. In 1976, the rights were sold to Tolkien Enterprises, a division of the Saul Zaentz Company, and the first film adaptation of The Lord of the Rings was released in 1978 as an animated rotoscoping film directed by Ralph Bakshi with screenplay by the fantasy writer Peter S. Beagle. It covered only the first half of the story of The Lord of the Rings. In 1977, an animated musical television film of The Hobbit was made by Rankin-Bass, and in 1980, they produced the animated musical television film The Return of the King, which covered some of the portions of The Lord of the Rings that Bakshi was unable to complete. From 2001 to 2003, New Line Cinema released The Lord of the Rings as a trilogy of live-action films that were filmed in New Zealand and directed by Peter Jackson. The series was successful, performing extremely well commercially and winning numerous Oscars. From 2012 to 2014, Warner Bros. and New Line Cinema released The Hobbit, a series of three films based on The Hobbit, with Peter Jackson serving as executive producer, director, and co-writer. The first instalment, The Hobbit: An Unexpected Journey, was released in December 2012; the second, The Hobbit: The Desolation of Smaug, in December 2013; and the last instalment, The Hobbit: The Battle of the Five Armies, in December 2014. An upcoming biographical film Tolkien is set to be released on 10 May 2019, focusing on Tolkien's early life and war experiences. The Tolkien family and estate have stated that they did not "approve of, authorise or participate in the making of" the film. On 13 November 2017, it was announced that Amazon had acquired the global television rights to The Lord of the Rings. The series will not be a direct adaptation of the books, but will instead introduce new stories that are set before The Fellowship of the Ring. The press release referred to "previously unexplored stories based on J. R. R. Tolkien's original writings". Amazon will be the producer in conjunction with the Tolkien Estate and The Tolkien Trust, HarperCollins and New Line Cinema. Tolkien and the characters and places from his works have become the namesake of various things around the world. These include street names, mountains, companies, species of animals and plants as well as other notable objects. By convention, certain classes of features on Saturn's moon Titan are named after elements from Middle-earth. Colles (small hills or knobs) are named for characters, while montes (mountains) are named for mountains of Middle-earth. There are also asteroids named for Bilbo Baggins and Tolkien himself. Three mountains in the Cadwallader Range of British Columbia, Canada, have been named after Tolkien's characters. These are Mount Shadowfax, Mount Gandalf and Mount Aragorn. On 1 December 2012, it was announced in the New Zealand press that a bid was launched for the New Zealand Geographic Board to name a mountain peak near Milford Sound after Tolkien for historical and literary reasons and to mark Tolkien's 121st birthday. The "Tolkien Road" in Eastbourne, East Sussex, was named after Tolkien whereas the "Tolkien Way" in Stoke-on-Trent is named after Tolkien's eldest son, Fr. John Francis Tolkien, who was the priest in charge at the nearby Roman Catholic Church of Our Lady of the Angels and St. Peter in Chains. In the Hall Green and Moseley areas of Birmingham there are a number of parks and walkways dedicated to J. R. R. Tolkien—most notably, the Millstream Way and Moseley Bog. Collectively the parks are known as the Shire Country Parks. Also in Weston-super-Mare, Somerset, England there are a collection of roads in the 'Weston Village' named after locales of Middle Earth, namely Hobbiton Road, Bree Close, Arnor Close, Rivendell, Westmarch Way and Buckland Green. In the Dutch town of Geldrop, near Eindhoven, the streets of an entire new neighbourhood are named after Tolkien himself ("Laan van Tolkien") and some of the best-known characters from his books. In the Silicon Valley towns of Saratoga and San Jose in California, there are two housing developments with street names drawn from Tolkien's works. About a dozen Tolkien-derived street names also appear scattered throughout the town of Lake Forest, California. The Columbia, Maryland, neighbourhood of Hobbit's Glen and its street names (including Rivendell Lane, Tooks Way, and Oakenshield Circle) come from Tolkien's works. In the field of taxonomy, over 80 taxa (genera and species) have been given scientific names honouring, or deriving from, characters or other fictional elements from The Lord of the Rings, The Hobbit, and other works set in Middle-earth. Several taxa have been named after the character Gollum (also known as Sméagol), as well as for various hobbits, the small humanlike creatures such as Bilbo and Frodo Baggins. Various elves, dwarves, and other creatures that appear in his writings as well as Tolkien himself have been honoured in the names of several species, including the amphipod Leucothoe tolkieni, and the wasp Shireplitis tolkieni. In 2004, the extinct hominid Homo floresiensis was described, and quickly earned the nickname "hobbit" due to its small size. In 1978, Paleontologist Leigh Van Valen named over 20 taxa of extinct mammals after Tolkien lore in a single paper. In 1999, entomologist Lauri Kaila described 48 new species of Elachista moths and named 37 of them after Tolkien mythology. It has been noted that "Tolkien has been accorded formal taxonomic commemoration like no other author." Since 2003, The Tolkien Society has organized Tolkien Reading Day, which takes place on 25 March in schools around the world. In 2013, Pembroke College, Oxford University established an annual lecture on fantasy literature in Tolkien's honour. There are seven blue plaques in England that commemorate places associated with Tolkien: one in Oxford, one in Bournemouth, four in Birmingham and one in Leeds. One of the Birmingham plaques commemorates the inspiration provided by Sarehole Mill, near which he lived between the ages of four and eight, while two mark childhood homes up to the time he left to attend Oxford University and the other marks a hotel he stayed at before leaving for France during World War I. The plaque in West Park, Leeds, commemorates the five years Tolkien enjoyed at Leeds as Reader and then Professor of English Language at the University. The Oxford plaque commemorates the residence where Tolkien wrote The Hobbit and most of The Lord of the Rings. On a residence in Harrogate where Tolkien convalesced from trench fever in 1917. On 76 Sandfield Road, Headington, Oxford, his home from 1953 to 1968. In 2012, Tolkien was among the British cultural icons selected by artist Sir Peter Blake to appear in a new version of his most famous artwork—the Beatles' Sgt. Pepper's Lonely Hearts Club Band album cover—to celebrate the British cultural figures of his life that he most admires. Tolkien rarely signed his works, and his autograph has become highly valued by collectors. Unlike other authors of the genre, Tolkien never favoured signing his works. Owing to his popularity, handsigned copies of his letters or of the first editions of his individual writings have however achieved high values at auctions, and forged autographs may occur on the market. In particular, the signed first hardback edition of The Hobbit from 1937 has reportedly been offered for $85,000. Collectibles also include non-fiction books with hand-written annotations from Tolkien's private library. ^ Tolkien pronounced his surname /ˈtɒlkiːn/. [page needed] In General American the surname is commonly pronounced /ˈtoʊlkiːn/. ^ "Middle-earth" is derived via Middle English middel-erthe, middel-erd from middangeard, an Anglo-Saxon cognate of Old Norse Miðgarðr, the land inhabited by humans in Norse mythology. Carpenter, Humphrey (1977). Tolkien: A Biography. New York: Ballantine Books. ISBN 978-0-04-928037-3. Carpenter, Humphrey; Tolkien, Christopher, eds. (1981). The Letters of J. R. R. Tolkien. London: George Allen & Unwin. ISBN 978-0-04-826005-5. ^ Tolkien, Christopher, ed. (1988). The Return of the Shadow: The History of The Lord of the Rings, Part One. The History of Middle-earth. Volume 6. ISBN 0-04-440162-0. ^ Biography, pp. 111, 200, 266. ^ Letters, nos. 131, 153, 154, 163. ^ de Camp, L. Sprague (1976). Literary Swordsmen and Sorcerers: The Makers of Heroic Fantasy. Arkham House. ISBN 978-0-87054-076-9. The author emphasizes the impact not only of Tolkien but also of William Morris, George MacDonald, Robert E. Howard, and E. R. Eddison. ^ Mitchell, Christopher. "J. R. R. Tolkien: Father of Modern Fantasy Literature". Veritas Forum. Archived from the original on 20 June 2009. Retrieved 2 March 2009. ^ Clute, John; Grant, John, eds. (1999). The Encyclopedia of Fantasy. St. Martin's Press. ISBN 978-0-312-19869-5. ^ "The 50 greatest British writers since 1945". The Times. 5 January 2008. Archived from the original on 25 April 2011. Retrieved 17 April 2008. ^ Miller, Matthew (27 October 2009). "Top-Earning Dead Celebrities". Forbes. Archived from the original on 5 December 2012. ^ "Absolute Verteilung des Namens 'Tolkien'". verwandt.de (in German). MyHeritage UK Ltd. Archived from the original on 10 May 2013. Retrieved 9 January 2011. ^ "Absolute Verteilung des Namens 'Tolkiehn'". verwandt.de (in German). My Heritage UK Ltd. Archived from the original on 10 May 2013. Retrieved 9 January 2011. ^ "Ash nazg gimbatul". Der Spiegel (in German). No. 35/1969. 25 August 1969. Archived from the original on 27 April 2011. Professor Tolkien, der seinen Namen vom deutschen Wort 'tollkühn' ableitet,... .
^ Geier, Fabian (2009). J. R. R. Tolkien (in German). Rowohlt Taschenbuch Verlag. p. 9. ISBN 978-3-49950-664-2. ^ Biography, p. 13. Both the spider incident and the visit to a kraal are covered here. ^ Biography, Ch I, "Bloemfontein". At 9 Ashfield Road, King's Heath. ^ a b Doughan, David (2002). "JRR Tolkien Biography". Life of Tolkien. Archived from the original on 3 March 2006. Retrieved 12 March 2006. ^ a b Biography, p. 31. ^ a b Letters, no. 306. ^ J. R. R. Tolkien Archived 29 April 2011 at the Wayback Machine, Birmingham Heritage Forum. Retrieved 27 April 2009. ^ J. R. R. Tolkien Archived 18 May 2008 at the Wayback Machine, Archives and Heritage Service, Birmingham City Council. Updated 7 January 2009. Retrieved 28 April 2009. ^ "Tolkien's Not-So-Secret Vice". Archived from the original on 22 November 2012. ^ "Tolkien's Languages". Archived from the original on 24 December 2013. ^ Tolkien and the Great War, p. 6. ^ "1911 – J. R. R. Tolkien besichtigt das Oberwallis". Valais Wallis Digital (in German). Retrieved 27 February 2016. Citing Letters, no. 306. ^ a b Hammond, Wayne G.; Scull, Christina (26 February 2004). The Lord of the Rings JRR Tolkien Author and Illustrator. Royal Mail Group plc (commemorative postage stamp pack). ^ a b c d e f g Letters, No. 43. ^ Doughan, David (2002). "War, Lost Tales and Academia". J. R. R. Tolkien: A Biographical Sketch. Archived from the original on 3 March 2006. Retrieved 12 March 2006. ^ The Tolkien Family Album, (1992), page 34. ^ "No. 29232". The London Gazette. 16 July 1915. p. 6968. ^ Tolkien and the Great War, p. 94. ^ Quoted in John Garth, Tolkien and the Great War, p. 138. ^ Garth, John. Tolkien and the Great War, Boston, Houghton Mifflin 2003, pp. 144–145. ^ Garth (2003), pages 147–148. ^ Garth (2003), pp. 148–149. ^ a b Garth (2003), p. 149. ^ Quoted in Garth (2003), p. 200. ^ Biography (2000 paperback edition), pp. 93, 103, 105. ^ Garth (2003), pp. 94–95. ^ The Lord of the Rings. Preface to the Second Edition. ^ Garth (2003), pp. 207 et seq. ^ "No. 30588". The London Gazette (Supplement). 19 March 1918. p. 3561. ^ Following rural English usage, Tolkien used the name "hemlock" for various plants with white flowers in umbels, resembling hemlock (Conium maculatum); the flowers Edith danced among were more probably cow parsley (Anthriscus sylvestris) or wild carrot (Daucus carota). See John Garth, Tolkien and the Great War (Harper Collins/Houghton Mifflin 2003), and Peter Gilliver, Jeremy Marshall, & Edmund Weiner, The Ring of Words (OUP 2006). ^ Cater, Bill (4 December 2001). "We talked of love, death, and fairy tales". The Daily Telegraph. London. Archived from the original on 31 January 2014. Retrieved 13 March 2012. ^ "No. 32110". The London Gazette (Supplement). 2 November 1920. p. 10711. ^ Gilliver, Peter; Marshall, Jeremy; Weiner, Edmund (2006). The Ring of Words: Tolkien and the OED. OUP. ^ Grotta, Daniel (28 March 2001). J. R. R. Tolkien Architect of Middle Earth. Running Press. pp. 64–. ISBN 978-0-7624-0956-3. Archived from the original on 11 May 2011. Retrieved 22 August 2010. ^ Zettersten, A. (25 April 2011). J. R. R. Tolkien's Double Worlds and Creative Process: Language and Life. Springer. ISBN 9780230118409. ^ See The Name Nodens (1932) in the bibliographical listing. For the etymology, see Nodens#Etymology. ^ Acocella, Joan (2 June 2014). "Slaying Monsters: Tolkien's 'Beowulf'". The New Yorker. Archived from the original on 30 May 2014. Retrieved 2 June 2014. ^ Ramey, Bill (30 March 1998). "The Unity of Beowulf: Tolkien and the Critics". Wisdom's Children. Archived from the original on 21 April 2006. Retrieved 13 March 2006. ^ Tolkien: Finn and Hengest. Chiefly, p.4 in the Introduction by Alan Bliss. ^ Tolkien: Finn and Hengest, the discussion of Eotena, passim. ^ Kennedy, Michael (2001). "Tolkien and Beowulf – Warriors of Middle-earth". Amon Hen. Archived from the original on 9 May 2006. Retrieved 18 May 2006. ^ a b Biography, p. 133. ^ a b c d Letters, no. 35 (see also editorial note). ^ a b c d Hammond, Wayne G.; Scull, Christina (2006). The J. R. R. Tolkien Companion and Guide. 2. HarperCollins. pp. 224, 226, 232. ISBN 978-0-618-39113-4. ^ "JRR Tolkien trained as British spy". The Daily Telegraph. London. 16 September 2009. Archived from the original on 22 September 2009. Retrieved 17 September 2009. ^ Grotta, Daniel (28 March 2001). J. R. R. Tolkien Architect of Middle Earth. Running Press. pp. 110–. ISBN 978-0-7624-0956-3. Archived from the original on 11 January 2014. Retrieved 22 August 2010. ^ Rogerson, John. The Oxford Illustrated History of the Bible, 2001. ^ "Nomination Database". Nobel Foundation. Archived from the original on 21 April 2017. Retrieved 20 April 2017. ^ Meras, Phyllis (15 January 1967). "Go, Go, Gandalf". The New York Times. Archived from the original on 11 April 2009. Retrieved 12 March 2006. ^ Humphrey Carpenter, "Tolkien: The Authorized Biography", page 158. ^ a b Tolkien, Simon (2003). "My Grandfather JRR Tolkien". Archived from the original on 27 September 2011. ^ "No. 45554". The London Gazette (Supplement). 1 January 1972. p. 9. ^ Letters, no. 334 (editorial note). ^ Shropshire County Council (2002). "J. R. R. Tolkien". Literary Heritage, West Midlands. Archived from the original on 28 July 2012. ^ Birzer, Bradley J. (13 May 2014). J. R. R. Tolkien's Sanctifying Myth: Understanding Middle-earth. Open Road Media. ISBN 9781497648913. Retrieved 20 November 2017 – via Google Books. ^ "The Tolkien Family Album", (1992), page 69. ^ Letters, nos. 64, 131, etc. ^ J. R. R. Tolkien – Creator of Middle Earth (DVD). New Line Cinema. 2002. ^ Longenecker, Dwight (2008). "Why Tolkien said No to Narnia Archived 30 April 2011 at the Wayback Machine", Spero News, 12 November 2008. Retrieved 4 April 2009. ^ Pearce, Joseph (2003). "Why Tolkien Says The Lord of the Rings Is Catholic Archived 1 October 2016 at the Wayback Machine", National Catholic Register, 12–19 January 2003. Retrieved 1 December 2008. ^ Wood, Ralph C. Biography of J. R. R. Tolkien (1892–1973). Addison, Texas; Leadership University. Updated 13 July 2002. Retrieved 28 April 2009. ^ Tolkien, Mythopoeia (the poem), c. 1931. ^ Carpenter, Humphrey (1978). The Inklings. Allen & Unwin. ISBN 978-0-00-774869-3. 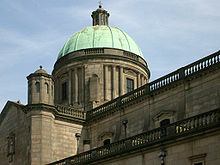 Lewis was brought up in the Church of Ireland. ^ Ware, Jim (2006). Finding God in The Hobbit. p. xxii. ISBN 978-1-4143-0596-7. ^ Letters, no. 29, to Stanley Unwin, 25 July 1938. ^ Saguaro, Shelley; Thacker, Deborah Cogan (2013). "Tolkien and Trees" (PDF). In Hunt, Peter (ed.). J. R. R. Tolkien: New Casebook. Palgrave Macmillan. ISBN 978-1-137-26399-5. Archived (PDF) from the original on 3 October 2016. ^ Dickerson, Matthew; Evans, Jonathan (2006). Ents, Elves, and Eriador: The Environmental Vision of J. R. R. Tolkien. University of Kentucky Press. ISBN 978-0-8131-2418-6. ^ Anderson, Douglas A. The Annotated Hobbit, Boston, Houghton Mifflin 1988, p. 183, note 10. ^ Anderson, Douglas A. The Annotated Hobbit, Boston, Houghton Mifflin 1988, pp. 6–7. ^ Resnick, Henry (1967). "An Interview with Tolkien". Niekas. pp. 37–47. ^ Nelson, Dale J. (2006). "Haggard's She: Burke's Sublime in a popular romance". Mythlore (Winter–Spring). Retrieved 2 December 2007. ^ Flieger, Verlyn (2005). Interrupted Music: The Making Of Tolkien's Mythology. Kent State University Press. p. 150. ISBN 978-0-87338-824-5. Retrieved 2 December 2007. ^ Muir, Edwin (1988). The Truth of Imagination: Some Uncollected Reviews and Essays. Aberdeen University Press. p. 121. ISBN 978-0-08-036392-9. ^ Lobdell, Jared C. (2004). The World of the Rings: Language, Religion, and Adventure in Tolkien. Open Court. pp. 5–6. ISBN 978-0-8126-9569-4. ^ Rogers, William N., II; Underwood, Michael R. (2000). "Gagool and Gollum: Exemplars of Degeneration in King Solomon's Mines and The Hobbit". In Clark, George; Timmons, Daniel (eds.). J. R. R. Tolkien and His Literary Resonances: Views of Middle-earth. Westport, Conn.: Greenwood Press. pp. 121–132. ISBN 978-0-313-30845-1. ^ Stoddard, William H. (July 2003). "Galadriel and Ayesha: Tolkienian Inspiration?". Franson Publications. Archived from the original on 22 December 2007. Retrieved 2 December 2007. ^ Letters, p. 391, footnote, quoted in Jared C. Lobdell The World of the Rings: Language, Religion, and Adventure in Tolkien, p. 6. ^ Anderson, Douglas A. The Annotated Hobbit, Boston, Houghton Mifflin 1988, p. 150. ^ Lobdell, Jared C. (2004). The World of the Rings: Language, Religion, and Adventure in Tolkien, pp. 6–7. ^ As described by Christopher Tolkien in Hervarar Saga ok Heidreks Konung (Oxford University, Trinity College). B. Litt. thesis. 1953/4. [Year uncertain], The Battle of the Goths and the Huns, in: Saga-Book (University College, London, for the Viking Society for Northern Research) 14, part 3 (1955–56) "Publications by and about Christopher Tolkien". The Tolkien Society. Archived from the original on 8 March 2005. Retrieved 16 May 2005. ^ a b Day, David (1 February 2002). Tolkien's Ring. New York: Barnes and Noble. ISBN 978-1-58663-527-5. ^ Alex Ross, "The Ring and The Rings: Wagner vs. Tolkien" Archived 4 January 2012 at the Wayback Machine, The New Yorker, 22 December 2003. Retrieved 2 December 2011. ^ Spengler, The 'Ring' and the remnants of the West, Asia Times, 11 January 2003. Retrieved 27 April 2009. ^ Spengler, Tolkien's Christianity and the pagan tragedy, Asia Times Online, 11 January 2003. Retrieved 27 April 2009. ^ Tolkien's Ring and Der Ring des Nibelungen Archived 5 October 2003 at the Wayback Machine, Chapter 5 in Harvey, David (1995). One Ring to Rule them All Archived 25 June 2009 at the Wayback Machine. Updated 20 October 1995. Retrieved 27 April 2009. ^ Handwerk, Brian (1 March 2004). "Lord of the Rings Inspired by an Ancient Epic". National Geographic News. Archived from the original on 16 March 2006. Retrieved 13 March 2006. ^ a b c d e f g h i j k Fimi, Dimitra (2006). "'Mad' Elves and 'elusive beauty': some Celtic strands of Tolkien's mythology". Folklore. 117 (2): 156–170. doi:10.1080/00155870600707847. ISSN 1547-3155. JSTOR 30035484. ^ Fimi, Dimitra (2007). "Tolkien's '"Celtic" type of legends': Merging Traditions". Tolkien Studies. 4: 51–71. doi:10.1353/tks.2007.0015. ISSN 1547-3155. ^ a b c Letters, no. 144. ^ Bofetti, Jason (November 2001). "Tolkien's Catholic Imagination". Crisis Magazine. Archived from the original on 21 August 2006. Retrieved 30 August 2006. ^ Kocher, Paul H. (1972). Master of Middle-earth: The Fiction of J. R. R. Tolkien. Houghton Mifflin. pp. 76–77. ISBN 978-0-395-14097-0. ^ Shippey, Tom (1983). The Road to Middle-earth. Boston: Houghton Mifflin. pp. 140–141. ISBN 978-0-395-33973-2. ^ Caldecott, Stratford (January – February 2002). "The Lord & Lady of the Rings". Touchstone Magazine. Archived from the original on 26 April 2011. Retrieved 27 March 2011. ^ Tolkien, J. R. R. (1963). Beowulf: The Monsters and the Critics. Oxford. pp. 10–11. ^ Phillip, Norman (2005). "The Prevalence of Hobbits". The New York Times. Archived from the original on 11 April 2009. Retrieved 12 March 2006. ^ "Oxford Calling". The New York Times. 5 June 1955. Archived from the original on 11 April 2009. Retrieved 12 March 2006. ^ Seiler, Andy (16 December 2003). "'Rings' comes full circle". USA Today. Archived from the original on 19 October 2012. Retrieved 12 March 2006. ^ Cooper, Callista (5 December 2005). "Epic trilogy tops favorite film poll". ABC News. Archived from the original on 16 January 2006. Retrieved 12 March 2006. ^ O'Hehir, Andrew (4 June 2001). "The book of the century". Salon. Archived from the original on 13 February 2006. Retrieved 12 March 2006. ^ Diver, Krysia (5 October 2004). "A lord for Germany". The Sydney Morning Herald. Archived from the original on 17 August 2007. Retrieved 12 March 2006. ^ "1978 Award Winners & Nominees". Worlds Without End. Archived from the original on 9 July 2009. Retrieved 17 May 2009. ^ Martinez, Michael (27 July 2002). "Middle-earth Revised, Again". Michael Martinez Tolkien Essays. Archived from the original on 17 June 2008. Retrieved 28 April 2009. ^ The Legend of Sigurd and Gudrún, page 5. ^ announcing the 2013 edition, The Guardian on 9 October 2012 published the poem's first nine verses; Alison Flood, 'New' JRR Tolkien epic due out next year Archived 2 December 2016 at the Wayback Machine guardian.co.uk, Tuesday 9 October 2012. ^ "JRR Tolkien's Beowulf translation to be published". BBC News. 20 March 2014. Archived from the original on 15 April 2014. Retrieved 8 June 2014. ^ "Beowulf: A Translation and Commentary". Publishers Weekly. 26 May 2014. Archived from the original on 5 September 2014. Retrieved 5 September 2014. ^ Flood, Alison (12 August 2015). "JRR Tolkien's first fantasy story to be published this month". The Guardian. Archived from the original on 2 December 2016. ^ Flood, Alison (19 October 2016). "JRR Tolkien's Middle-earth love story to be published next year". The Guardian. Archived from the original on 9 December 2016. ^ Helen, Daniel (30 August 2018). "The Fall of Gondolin published". Tolkien Society. Retrieved 30 August 2018. ^ Flood, Alison (10 April 2018). "The Fall of Gondolin, 'new' JRR Tolkien book, to be published in 2018". The Guardian. Retrieved 13 April 2018. ^ "J. R. R. Tolkien Collection". Department of Special Collections and University Archives, Marquette University. 4 March 2003. Archived from the original on 2 November 2009. Retrieved 28 April 2009. ^ McDowell, Edwin (4 September 1983). "Middle-earth Revisited". The New York Times. Archived from the original on 11 April 2009. Retrieved 12 March 2006. ^ Katherine Turley, "Inside a Very Great Story...", The Tablet 2 June 2018, pp. 20–21. ^ Winchester, Simon (2003). The Meaning of Everything: The Story of the Oxford English Dictionary. Oxford University Press. ISBN 0-19-860702-4; and Gilliver, Peter, Jeremy Marshall and Edmund Weiner (2006). The Ring of Words: Tolkien and the Oxford English Dictionary. Oxford University Press. ISBN 0-19-861069-6. ^ Letters, no. 7, to the Electors of the Rawlinson and Bosworth Professorship of Anglo-Saxon, University of Oxford, 27 June 1925. ^ Grotta, Daniel (2001). J. R. R. Tolkien: Architect of Middle Earth. Philadelphia, Running Press. ISBN 0-7624-0956-8. ^ English and Welsh, O'Donnell Lecture, 1955, cited in Wayne G. Hammond & Christina Scull: The J. R. R. Tolkien Companion and Guide: Reader's Guide, London, HarperCollins 2006, p. 249. ^ Corsetti, Renato (31 January 2018). "Tolkien's 'Secret Vice'". British Library. ^ France, Connexion. "The fine art of weaving a Tolkien tale". connexionfrance.com. Retrieved 7 March 2018. ^ Hammond, Wayne G; Scull, Christina (1995). J. R. R. Tolkien: Artist and Illustrator. Boston: Houghton Mifflin Co. ISBN 978-0395748169. OCLC 33450124. ^ Thygesen, Peter (Autumn 1999). "Queen Margrethe II: Denmark's monarch for a modern age". Scandinavian Review. Retrieved 12 March 2006. ^ J. R. R. Tolkien, "On Fairy-Stories", in Tolkien, J. R. R. (1964), J. R. R. Tolkien: Tree and Leaf, London: HarperCollins (published 2001), ISBN 0-00-710504-5 . ^ "Tollywood and The Hobbit of the Rings, Vol. I". Tolkienlibrary.com. Archived from the original on 26 August 2013. Retrieved 15 August 2013. ^ Canby, Vincent (15 November 1978). "Film: 'The Lord of the Rings' From Ralph Bakshi". The New York Times. Archived from the original on 11 April 2009. Retrieved 12 March 2006. ^ "Rings scores Oscars clean sweep". BBC News. 1 March 2004. Retrieved 18 June 2012. ^ McNary, Dave (15 October 2010). "'The Hobbit' Pics to Shoot in February". Variety. Archived from the original on 6 November 2013. Retrieved 20 December 2010. ^ "The Hobbit Worldwide Release Dates". TheHobbit.com. Archived from the original on 15 December 2012. Retrieved 18 December 2014. ^ "The Hobbit Worldwide Release Dates". TheHobbit.com. Archived from the original on 9 November 2014. Retrieved 18 December 2014. ^ "The Hobbit : The Battle of the Five Armies Movie 2014 – Worldwide Release Dates". warnerbros.com. Archived from the original on 27 December 2014. Retrieved 18 December 2014. ^ Welk, Brian (17 January 2019). "J.R.R. Tolkien Biopic With Nicholas Hoult Gets Summer 2019 Release Date". Retrieved 18 January 2010. ^ Flood, Alison (23 April 2019). "Tolkien estate disavows forthcoming film starring Nicholas Hoult". The Guardian. ^ "Amazon will run a multi-season Lord of the Rings prequel TV series". Ars Technica. 13 November 2017. Archived from the original on 14 November 2017. ^ Koblin, John (13 November 2017). "'Lord of the Rings' Series Coming to Amazon". The New York Times. Retrieved 20 November 2017. ^ "Categories for Naming Features on Planets and Satellites". Gazetteer of Planetary Nomenclature. International Astronomical Union (IAU) Working Group for Planetary System Nomenclature (WGPSN). Archived from the original on 9 August 2014. Retrieved 28 February 2016. ^ "Gazetteer of Planetary Nomenclature: Titan Colles". Planetarynames.wr.usgs.gov. Archived from the original on 26 June 2015. Retrieved 26 June 2015. ^ "Gazetteer of Planetary Nomenclature: Titan Mons, Montes". Gazetteer of Planetary Nomenclature. International Astronomical Union (IAU) Working Group for Planetary System Nomenclature (WGPSN). Archived from the original on 31 March 2016. Retrieved 28 February 2016. ^ "(2991) Bilbo = 1982 HV = 1982 KB2 = 1975 JC = 1979 SY3". IAU Minor Planet Center. Retrieved 10 March 2016. ^ "JPL Small-Body Database Browser: 2675 Tolkien (1982 GB)". Jet Propulsion Laboratory. Archived from the original on 13 January 2017. Retrieved 10 March 2016. ^ "Mount Gandalf". BC Geographical Names. The Province of British Columbia. Retrieved 12 December 2014. ^ "Mount Shadowfax". BC Geographical Names. The Province of British Columbia. Retrieved 12 December 2014. ^ "Unnamed peak could be named Mt Tolkien". Stuff.co.nz. Fairfax New Zealand Limited. Retrieved 12 December 2012. ^ "People of Stoke-on-Trent". Archived from the original on 12 March 2005. Retrieved 13 March 2005. ^ a b "Nature reserve remembers Baggins". BBC News. Archived from the original on 7 March 2016. Retrieved 10 March 2016. ^ Phillips, Bethan (13 March 2012). "The Hobbit in battle with Hollywood". Southern Daily Echo. Archived from the original on 5 March 2016. Retrieved 10 March 2016. ^ Aiello, Leslie C. (2010). "Five years of Homo floresiensis". American Journal of Physical Anthropology. 142 (2): 167–179. doi:10.1002/ajpa.21255. PMID 20229502. ^ Gee, Henry (2004). The Science of Middle-earth (1st ed.). Cold Spring Harbor, NY: Cold Spring Press. ISBN 978-1593600235. ^ Kaila, Lauri (1999). "A revision of the Nearctic species of the genus Elachista s.l. III. The bifasciella, praelineata, saccharella and freyerella groups (Lepidoptera, Elachistidae)". Acta Zoologica Fennica. 211: 1–235. ^ Beck, Julie (3 May 2015). "Science's Love Affair with The Lord of the Rings". The Atlantic. Archived from the original on 9 March 2016. Retrieved 10 March 2016. ^ Tolkien Lecture Series, Pembroke College, Oxford. Retrieved 26 February 2019. ^ Birmingham Civic Society. "Sarehole Mill". Blue Plaques Photograph Gallery. Archived from the original on 24 May 2007. Retrieved 21 March 2007. ^ Birmingham Civic Society. "Duchess Place". Blue Plaques Photograph Gallery. Archived from the original on 24 May 2007. Retrieved 21 March 2007. ^ Birmingham Civic Society. "4 Highfield Road". Blue Plaques Photograph Gallery. Archived from the original on 24 May 2007. Retrieved 21 March 2007. ^ Birmingham Civic Society. "Plough and Harrow". Blue Plaques Photograph Gallery. Archived from the original on 24 May 2007. Retrieved 21 March 2007. ^ "J. R. R. Tolkien Philologist and Author". Plaques Awarded. Oxfordshire Blue Plaques Board. Archived from the original on 5 November 2010. Retrieved 9 September 2010. ^ "Bournemouth's Blue Plaques" (PDF). Bournemouth Borough Council. p. 15. Archived from the original (PDF) on 10 December 2014. Retrieved 24 August 2012. ^ Garth, John (2006). "World War I". In Drout, Michael D. C. (ed.). J. R. R. Tolkien Encyclopedia: Scholarship and Critical Assessment. Oxon: Routledge. p. 713. ISBN 978-0-415-96942-0. Archived from the original on 17 May 2007. Retrieved 10 March 2009. ^ Jenkins, Stephanie. "Inscriptions: J. R. R. Tolkien". Headington.org. Archived from the original on 1 March 2014. Retrieved 18 February 2009. ^ "New faces on Sgt Pepper album cover for artist Peter Blake's 80th birthday". The Guardian. 11 November 2016. Archived from the original on 5 November 2016. ^ "Sir Peter Blake's new Beatles' Sgt Pepper's album cover". BBC. 11 November 2016. Archived from the original on 3 January 2017. ^ Beahm, George W. (2003). The Essential J. R. R. Tolkien Sourcebook: A Fan's Guide to Middle-Earth and Beyond. New Page Books. pp. 163–64. ISBN 978-1-5641-4702-8. Archived from the original on 16 November 2016. Anderson, Douglas A; Drout, Michael DC; Flieger, Verlyn, eds. (2004). Tolkien Studies, An Annual Scholarly Review. I. West Virginia University Press. ISBN 978-0-937058-87-9. Carpenter, Humphrey (1979). The Inklings: C. S. Lewis, J. R. R. Tolkien, Charles Williams and Their Friends. Boston: Houghton Mifflin. ISBN 978-0-395-27628-0. Chance, Jane, ed. (2003). Tolkien the Medievalist. London, New York: Routledge. ISBN 978-0-415-28944-3. ——— , ed. (2004). Tolkien and the Invention of Myth, a Reader. Louisville: University Press of Kentucky. ISBN 978-0-8131-2301-1. Croft, Janet B (2004). War and the Works of J. R. R. Tolkien. Westport: Praegar Publishers. ISBN 0-3133-2592-8. Curry, Patrick (2004). Defending Middle-earth: Tolkien, Myth and Modernity. Boston: Houghton Mifflin. ISBN 978-0-618-47885-9. Drout, Michael D. C., ed. (2006). J. R. R. Tolkien Encyclopedia: Scholarship and Critical Assessment. New York City: Routledge. ISBN 978-0-415-96942-0. Duriez, Colin; Porter, David (2001). The Inklings Handbook: The Lives, Thought and Writings of C. S. Lewis, J. R. R. Tolkien, Charles Williams, Owen Barfield, and Their Friends. London: Azure. ISBN 978-1-902694-13-9. Duriez, Colin (2003). Tolkien and C. S. Lewis: The Gift of Friendship. Mahwah, NJ: HiddenSpring. ISBN 978-1-58768-026-7. Flieger, Verlyn (2002). Splintered Light: Logos and Language in Tolkien's World. Kent State University Press. ISBN 978-0-87338-744-6. Flieger, Verlyn; Hostetter, Carl F, eds. (2000). Tolkien's Legendarium: Essays on The History of Middle-earth. Westport, CT: Greenwood Press. ISBN 978-0-313-30530-6. DDC 823.912 LC PR6039. Fonstad, Karen Wynn (1991). The Atlas of Middle-earth. Boston: Houghton Mifflin. ISBN 978-0-618-12699-6. Foster, Robert (2001). The Complete Guide to Middle-earth. Del Rey. ISBN 978-0-345-44976-4. Fredrick, Candice; McBride, Sam (2001). Woman among the Inklings: Gender, C.S. Lewis, J. R. R. Tolkien, and Charles Williams. Greenwood Press. ISBN 978-0-313-31245-8. Garth, John (2003). Tolkien and the Great War. Harper-Collins. ISBN 978-0-00-711953-0. Gilliver, Peter; Marshall, Jeremy; Weiner, Edmund (2006). The Ring of Words. Oxford University Press. ISBN 978-0-19-861069-4. Glyer, Diana Pavlac (2007). The Company They Keep: C. S. Lewis and J. R. R. Tolkien as Writers in Community. Kent, Ohio: Kent State University Press. ISBN 978-0-87338-890-0. Grotta-Kurska, Daniel (1976). J. R. R. Tolkien: Architect of Middle Earth (A Biography). Philadelphia: Running Press. ISBN 978-0-7624-0956-3. Haber, Karen (2001). Meditations on Middle-earth: New Writing on the Worlds of J. R. R. Tolkien. St. Martin's Press. ISBN 978-0-312-27536-5. Harrington, Patrick, ed. (2003). Tolkien and Politics. London, England: Third Way Publications. ISBN 978-0-9544788-2-7. Larsen, Kristine (2007). "SAURON, Mount Doom, and Elvish Moths: The Influence of Tolkien on Modern Science". Tolkien Studies. 4 (1): 223–234. doi:10.1353/tks.2007.0024. Lee, Stuart D; Solopova, Elizabeth (2005). The Keys of Middle-earth: Discovering Medieval Literature through the Fiction of J. R. R. Tolkien. Palgrave Macmillan. ISBN 978-1-4039-4671-3. Pearce, Joseph (1998). Tolkien: Man and Myth. London: HarperCollinsPublishers. ISBN 978-0-00-274018-0. Perry, Michael (2006). Untangling Tolkien: A Chronology and Commentary for The Lord of the Rings. Seattle: Inkling Books. ISBN 978-1-58742-019-1. Shippey, Tom (2000). J. R. R. Tolkien – Author of the Century. Boston, New York: Houghton Mifflin Company. ISBN 978-0-618-12764-1. ——— (2003). The Road to Middle-earth. Boston, New York: Houghton Mifflin Company. ISBN 978-0-618-25760-7. Ready, William (1968). Understanding Tolkien and the Lord of the Rings. New York: Paperback Library. Rorabeck, Robert (2008). Tolkien's Heroic Quest. Crescent Moon. ISBN 978-1-86171-239-4. Strachey, Barbara (1981). Journeys of Frodo: an Atlas of The Lord of the Rings. London, Boston: Allen & Unwin. ISBN 978-0-04-912016-7. Tolkien, John & Priscilla (1992). The Tolkien Family Album. London: HarperCollins. ISBN 978-0-261-10239-2. Tyler, J.E.A. (1976). The Tolkien Companion. New York: Gramercy. ISBN 978-0-517-14648-4. White, Michael (2003). Tolkien: A Biography. New American Library. ISBN 978-0-451-21242-9. Zaleski, Philip; Zaleski, Carol (2016). The Fellowship: The Literary Lives of the Inklings: J. R. R. Tolkien, C. S. Lewis, Owen Barfield, Charles Williams. Farrar, Straus and Giroux. ISBN 9780374536251.